Cut to length lines are specifically designed for cutting steel of varying thickness, with great precision craftsmanship. Energy costs today represent important part of total operating costs. On one hand, cause is increase of electricity prices (and energy, due to objective reasons) and on the other hand, there are stringent environmental standards that require use of modern and more expensive energy systems. 'Smart home' in todays era of complete automation of the widest range of activities and services, impose themselves as a complete imperative in improving the quality of life. Such systems allow intelligent automation of your homes and offices and provide opportunities for further integration with other systems that already exist. 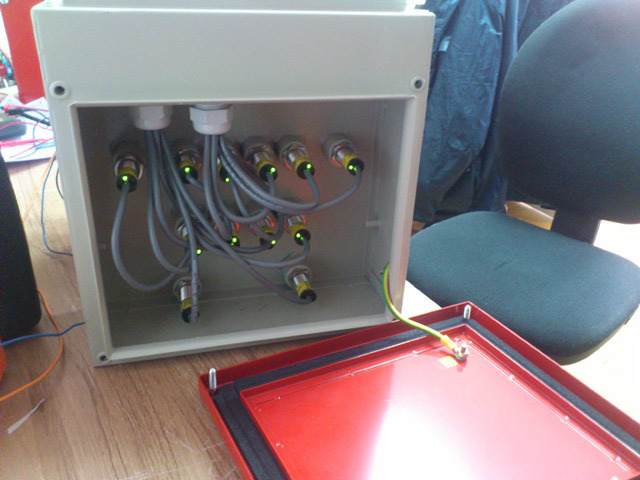 In the production process, system for accurate positioning of specialized machinery, rail vehicles, cranes, etc. is one of the most important subsystems in domain of automation. Extremely strict in terms of positioning in multiple positions (throughout the trajectory motion machine) this technical problem is in the foreground. AS-i (Actuator Sensor-Interface) was developed in 1990. as a cost effective replacement for the system wiring and connections. After 20 years of use in various industrial fields, AS-i has proved to be an extremely reliable solution.